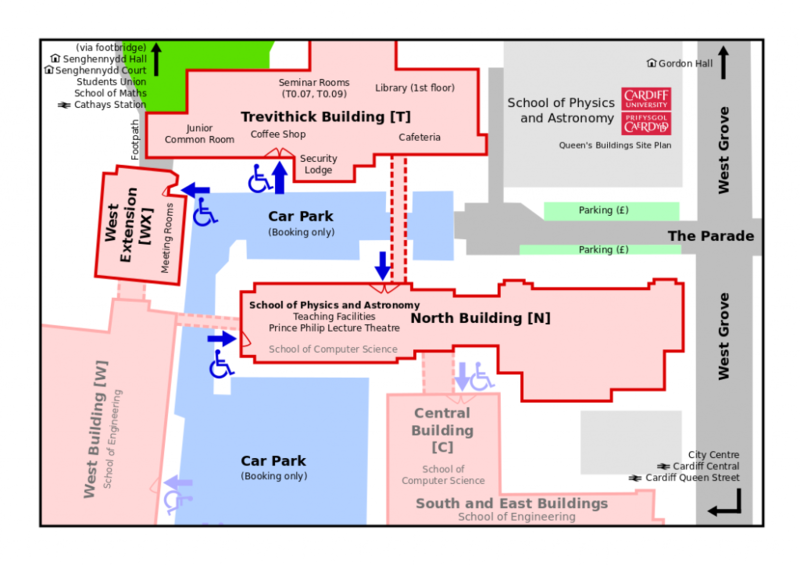 The School of Physics and Astronomy is located at Queen’s Buildings, The Parade, Cardiff CF24 3AA. The map below shows the location of the department and a nearby key transport links. A selection of local hotels and attractions are also available in the list accessed through the sidebar. There are also site plans available below. Unfortunately, this map does not work in some old browsers, notably Internet Explore 8 and below. If you are using one of these browsers, then please use Cardiff University’s Locations page. Additional information on travelling to Cardiff is available on the University How to get here pages, though please note that the nearest train station to the School of Physics and Astronomy is Cardiff Queen Street. 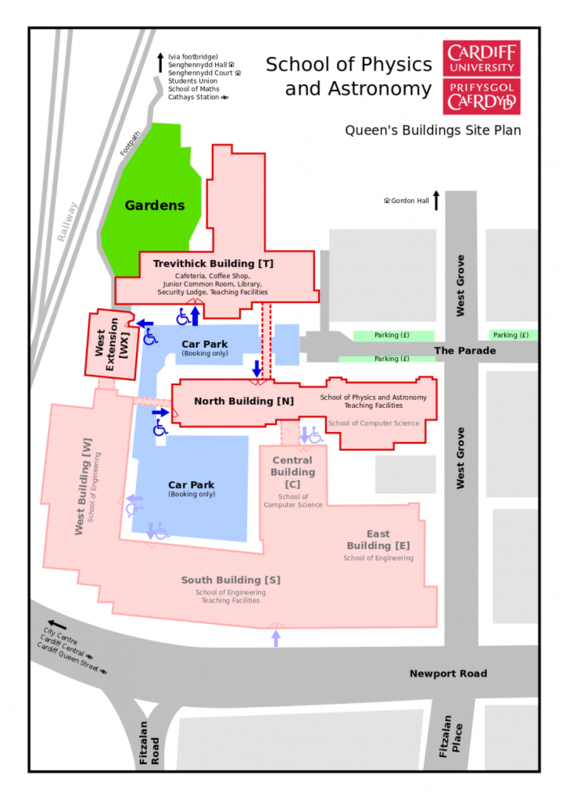 Below are two plans of the Queen’s Buildings site, which may help you navigate when you are here.